SurfShark VPN Extension - Yay or Nay? Is it Secure? Questions Answered. Surfshark VPN Extension – Yay or Nay? Is it Secure? Questions Answered. I recently stumbled over Surfshark VPN extension, checked it out for around 6 weeks and then as of now am scribbling this Surfshark VPN extension down to help you folks get a transparent and first-hand picture of what the extension is and what it does. Prevent govt. agencies and third-parties from gaining access to your browsing habits. Mask your location so that you can’t be tracked online. Prevent hackers from hacking into your system. Access blocked and restricted websites. Encrypt your internet traffic and communications. Now the industry has over a thousand VPNs out there, and it’s confusing at times as not everyone is a privacy-freak and spends endless hours researching, comparing and contrasting between them. Well that’s what I’ve done for you, I’ll walk you through the features of the Surfshark VPN extensions along with my occasional comments on why the feature is important, or how effective it actually is. Is Surfshark a VPN or a VPN Extension? Surfshark is marketed as a VPN Extension, and it may confuse some of you folks. Well Surfshark is indeed a VPN and it does everything a VPN does. The only difference between a VPN and a VPN extension is that while a VPN is a software you install on your systems, need extra resources and disk-space for, you don’t for a VPN Extension. Instead, Surfshark VPN extension is installed on your browsers, as a browser extension which doesn’t need any significant disk-space or formal installation (although it does need to be installed on the browser, which is a one-click process). Does it protect all of your outgoing traffic? Yes it does, just install the extension on the browser you’re using and you’re all set. How Many Countries Does Surfshark Provide? One of the first questions I ask when I’m about to zero-in on any VPN, the number of countries it supports as that’s how many countries I can mask my IP address to be in. 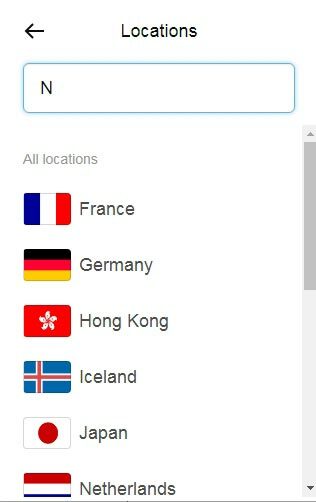 As for Surfshark VPN extension, it supports a total of 14 countries you can connect to, now I personally have been with VPNs which offer many more countries when it comes to the “quantity”, but when do we ever need more than 10 countries, ever? Also, it over 100 servers which made sure the speed and bandwidth on any particular server wasn’t ever overloaded and hence the overall experience was a smooth and fast one. How Secure is Surfshark VPN? One of the primary reasons of employing a VPN is security and encryption, isn’t it? Well Surfshark VPN is armed with AES-256 bit military grade encryption, which in my personal experience is the most secure encryption any of the other VPNs are offering as of now. Surfshark also seems to have specialized protection against Public Wi-Fi vulnerabilities which otherwise can be used to hack into your devices. It also is armed with IPv6 leak protection and WebRTC protection, while IPv6 is generally found with VPNs, WebRTC is surely a “not so common” addition to Surfshark. OpenVPN has two connection types, namely TCP and UDP the most common yet secure connection protocols. TCP is best when you need extreme reliability but are okay with slightly slower speeds. While UDP on the other hand isn’t as reliable as TCP but is faster. In addition to these, it also provides for IKEv2 which is a pretty advanced protocol, is fast and doesn’t compromise on reliability either. Also, IKEv2 has the unique ability to jump between connections, such as to your Wi-Fi from your cell network or vice-versa, without needing to restart itself or the encrypted connection! How many Devices can you Connect Simultaneously? 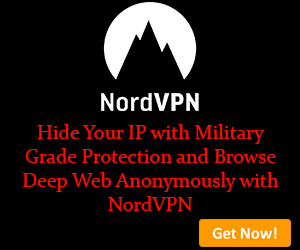 This is one of the strongest suits of Surfshark VPN Extension I’ve crossed paths with so far, most other VPNs I’ve been with including some super expensive ones too almost always have a limit on the number of devices you can connect to the same account. Meaning if you wish to connect more devices than the limit, you pay extra. Well, that’s not the case with Surfshark VPN extension. It offers unlimited connections, at the same time, from the same account without paying anything extra. Will Surfshark Reduce Your Internet Speed? Any VPN, due to its heavy encryption and other algorithms does reduce speed and Surfshark is no exception, but how much speed is reduced is the question. With Surfshark, my internet speed from around 8Mbps was reduced to 6 Mbps which is acceptable as most other VPNs generally plummet the speed down to 50-60% of the original speed. Again, most other VPNs have a preset limit on the bandwidth and speed, meaning after you use a certain amount of bandwidth over the VPN, you need to recharge or refill, and your speed too is reduced. Again, that doesn’t happen with Surfshark VPN. It provides for unlimited bandwidth and speed without any limits. Even though we don’t often need customer support from a VPN provider, Surfshark made sure they can be reached, fast, if we ever need them. They’ve got an E-mail ID where you could send in your questions, or a form which acts like a ticket, or my personal favourite and fastest- live chat. Their average response time is 30seconds on the live-chat, couple hours on the E-mail and I haven’t tried the form thing yet, but for now yes they seem pretty responsive. Do they Have a No Logs Policy? Yes they do, they do not log your original IP addresses, or the IP addresses you choose, or any of your other web activities. In other words, anything which can be linked to you in your real life isn’t stored or monitored. 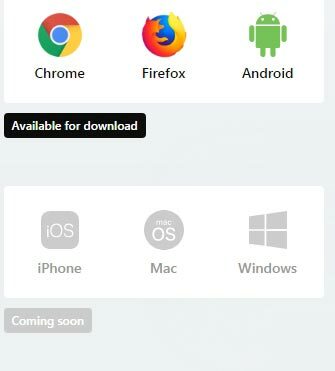 Currently it supports Google Chrome, Mozilla and Android devices which does cover what most of us use. It also can be used on Routers, or manually configured to be used with OpenVPN. It’s also soon set to release its Mac, iOS and Windows version as well. Although I’d still probably use the extension as it’s extremely lightweight and simple to work with. Can You Use Torrent and other Streaming/Downloading Services with it? Absolutely, Surfshark has a “Torrent Welcome” policy meaning unlike some VPNs which aren’t that enthusiastic about Torrents, Surfshark is! Additionally, it also lets you unblock restricted websites such as Netflix, Hulu, ABC etc. and stream videos without lag or restrictions. The same applies for music-streaming sites, or even VoIP calls, basically you can unblock anything that can be unlocked with a VPN. How Much Does Surfshark VPN Cost? Not much, Surfshark VPN has three plans, all of which have the exact same features and the price difference is only because of the duration for which you wish to use the VPN. Additionally, all of its plans come with a 30-day money back guarantee which in itself is a trust-booster. $3.95/month if you purchase it for 12 months. $4.95/month if you purchase it for 6 months. So in a nutshell, given its super easy user-interface, enterprise-grade infrastructure, good option with countries and secure encryption algorithms I believe there isn’t much to complain about. It’s cheap, offers unlimited connections, has a money back guarantee which makes sure you won’t lose any money if you don’t absolutely love the tool, is lightweight and doesn’t need a lot of system resources. So my personal verdict is Surfshark VPN extension is a good enough VPN especially considering the pricing, although you’ll get a complete picture only once you try it out for yourselves, do so and let me know your verdict in the comments.